There is so much to see and do in San Jose, in the heart of Silicon Valley. Minutes away from the San Jose McEnery Convention Center in Downtown San Jose is dining, entertainment and attractions including the Tech Museum, the Children’s’ Discovery Museum and the San Jose Opera House. It’s convenient to the headquarters of leading technology companies — Google, Facebook, Yahoo, Twitter, Evernote, Slack, Apple and more — as well as countless startups, each of which could be the Next Big Thing. 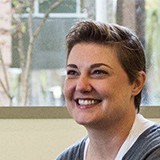 The area is also a haven for academic talent: Stanford University, UC Berkeley, California College of the Arts, San Jose State University, and more all contribute to CHI and the HCI community. For those looking to extend their stay, within an easy drive are the world-famous vineyards of Sonoma and Napa Valleys, as well as the rich cultural offerings of San Francisco, Oakland and Berkeley. Closer to the conference, we will add local dining and entertainment suggestions. If you can, we recommend flying into the Mineta San José International Airport (SJC), which is a 10 minute cab ride or ~20 minute light rail ride to the conference center and hotels. International flights generally fly into San Francisco International Airport (SFO), which is about an hour and a half by train or shuttle bus to the conference center and hotels, or about 45 minutes by Lyft or taxi. A third airport, Oakland International Airport (OAK), is about two hours on public transit or an hour in a taxi. Visitors can also use mobile apps like Sidecar, Lyft, or SuperShuttle to find door-to-door transportation from any airport to the Convention Center. The San Jose McEnery Convention Center is located at 150 W San Carlos St.
500 parking spaces are available directly below the McEnery Convention Center. Entrances to the main convention center garage are located at 408 South Almaden Boulevard or 350 South Market Street. The current rate is $1.00 per 20 minutes up to $20.00 per day maximum. Limited parking for hotel guests is located at each of the CHI16 conference hotels. Additional public parking lots are also located in the vicinity of the Convention Center. See the San Jose local parking map. General: VTA light rail routes run every 15 minutes peak hours to 30 minutes off-peak hours, with two routes serving the San Jose Convention Center stop and several other stops downtown. See schedule information for light rail or the many bus routes that serve downtown. Adult fares are $2; day and week passes are also available. VTA light rail service connects with VTA buses at all stations. From SJC: To take the VTA from San Jose Airport, take the #10 Airport Flyer bus to the Metro Airport VTA Station, then transfer to a VTA train that goes to the Convention Center VTA Station directly across the street from the McEnery Convention Center (such as the #901 going toward Santa Teresa). To/from Caltrain: VTA light rail connects with Caltrain at the Diridon, Tamien and Downtown Mountain View Stations. General: Conference members arriving at SFO can easily take BART (Bay Area Rapid Transit) to a Caltrain stop, which comes within walking distance of the convention center and local hotels. Caltrain also connects downtown San Jose to other Bay Area cities, from Gilroy to San Francisco. Caltrains run every 30-60 minutes on both weekends and weekdays. Caltrain tickets range from $2.25 to $9.75 one-way, depending on distance traveled. Additional Caltrain information. From SFO: To travel from SFO to the convention center, follow signs to the SFO Airtrain (the train connecting the terminals of the SFO airport) and BART, take BART towards Millbrae, transfer to the Millbrae Caltrain station traveling Southbound, and disembark at the San Jose Amtrak Diridon station (see map of the area). From this Caltrain station, you can take VTA light rail, bus, taxi or walk 7 blocks to the McEnery Convention Center. The San Jose Amtrak Diridon station is served by the Coast Starlight train services, running from San Diego and Los Angeles to Portland and Seattle. This station is also served by the Capitol Corridor train service running from Sacramento and Oakland. The free Downtown Area Shuttle (DASH) connects the San Jose Diridon Caltrain Station, VTA Light Rail, downtown office buildings, McEnery Convention Center, and San Jose State University. Shuttles run every 10 minutes from 6:15 a.m. to 6:55 p.m. Monday through Friday. See DASH map and schedule. BikeShare stations in downtown San Jose enable visitors to bike around town. San Jose, CA 95113 (see a map). was renovated in 2014, with fully upgraded internet access capable of handling even CHI’s bandwidth requirements. It is fully accessible, with a complete accessibility report from the CHI 2016 Accessibility Team coming soon. 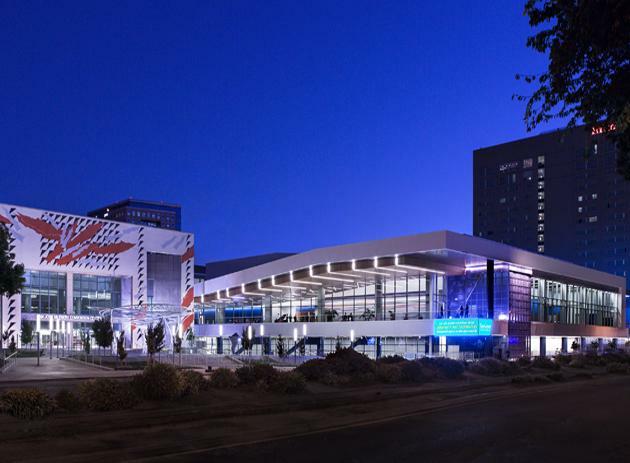 CHI 2016 has contracted with the San Jose Marriott, the Hilton San Jose, and the Hyatt Place San Jose, each of which is convenient to the conference center and wheelchair accessible. 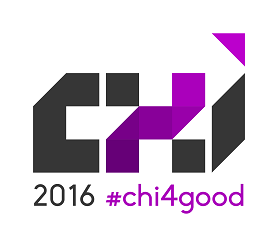 Limited parking for hotel guests is located at each of the CHI2016 conference hotels. We will provide details, including rates, closer to the conference.